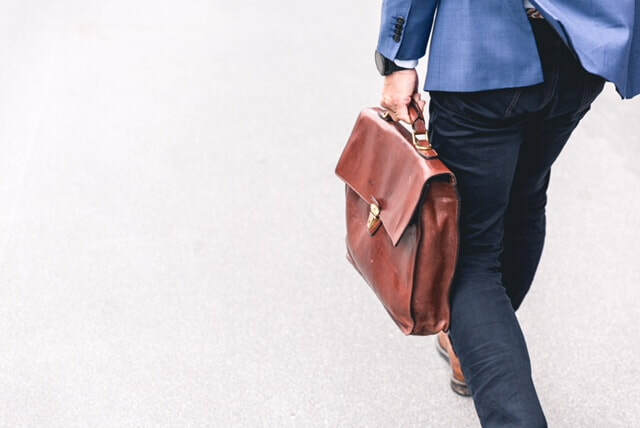 We take a look at a report published by the Bureau of Labor Statistics (BLS) regarding net employment gains in the USA for the first quarter of 2018. From December 2017 to March 2018, gross job gains from opening and expanding private-sector establishments were 7.4 million. Over this period, gross job losses from closing and contracting private-sector establishments were 6.7 million. The difference between the number of gross job gains and the number of gross job losses yielded a net employment gain of 740,000 jobs in the private sector during the first quarter of 2018. Gross job gains at expanding establishments totaled 6.1 million in the first quarter of 2018. Opening establishments accounted for 1.3 million of the jobs gained in the first quarter of 2018. In the first quarter of 2018, gross job losses represented 5.4 percent of private-sector employment. Contracting establishments lost 5.5 million jobs in the first quarter of 2018. In the first quarter of 2018, closing establishments lost 1.1 million jobs. Service-providing industries experienced a net increase of 524,000 jobs in the first quarter of 2018. Goods-producing industries experienced a net increase of 216,000 jobs in the first quarter of 2018. These data are from the Business Employment Dynamics program. 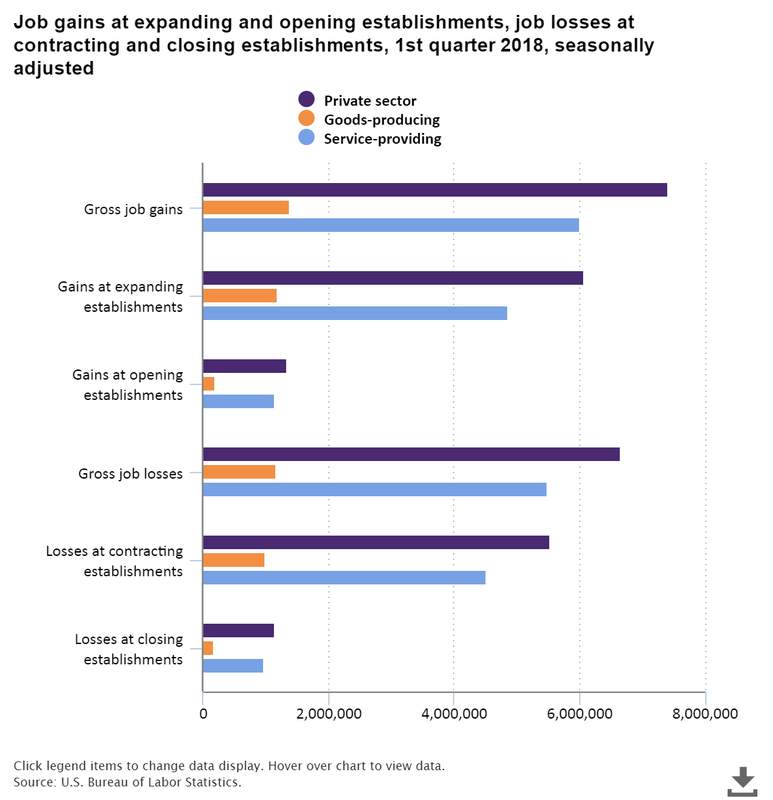 Gross job gains are the sum of increases in employment due to expansions at existing establishments and the addition of new jobs at opening establishments. Gross job losses are the result of contractions in employment at existing establishments and the loss of jobs at closing establishments. For more information, see "Business Employment Dynamics — First Quarter 2018." Also see charts related to the latest "Business Employment Dynamics" news release.